New Indy league hoping to buck the trend? Independent baseball is not an easy gig. Leagues form and it starts with great intentions, but after over 100 years of baseball, only two leagues are still in existence from the 1990’s (Atlantic, Frontier). Since 2010, eight leagues have folded (Continental, Freedom, Mountain Rainier, North American, North Country, and United League). Included in that list is the Northern League. The Northern League has a history dating back to 1902. They couldn’t even handle the financial difficulties that comes with putting on an exciting and affordable product on the field. Despite joining forces with two existing leagues to form the North American League, finances ultimately had them make a difficult decision. 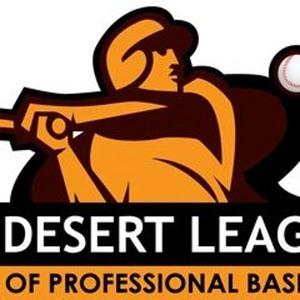 The Desert League of Professional Baseball begins its season in the fall of 2016, differentiating itself as the only indy league playing in the fall (September to December). The main focus is on giving players undrafted in the June MLB Amateur Draft the chance to suit up professionally. Three of their teams are based out of Arizona and California, with the fourth team (Somerton Caneros) are an affiliate of the Mexican Pacific League club Cañeros de Los Mochis. More special nights saluting the Armed Forces, South Park, Breaking Bad, Ghostbusters, Zombies, the Blues Brothers, Canada, the Upper Midwest, psychics, clowns gone bad, Animal House and the Church Lady. While I wish them all the best, there is high probability that after one year, the league joins the list hopefuls that could never get over the hump. On the other hand, you have to love a startup not afraid to go for it with business model that has delivered some horrific stories over the past couple of years.